Cart Rotate Platform – Modify a static cart into a rotate cart without modifying it at all. Modify a static cart into a rotate cart without modifying it at all. Sturtevant, WI (March 20, 2012) Modify a static cart into a rotate cart without modifying it at all. 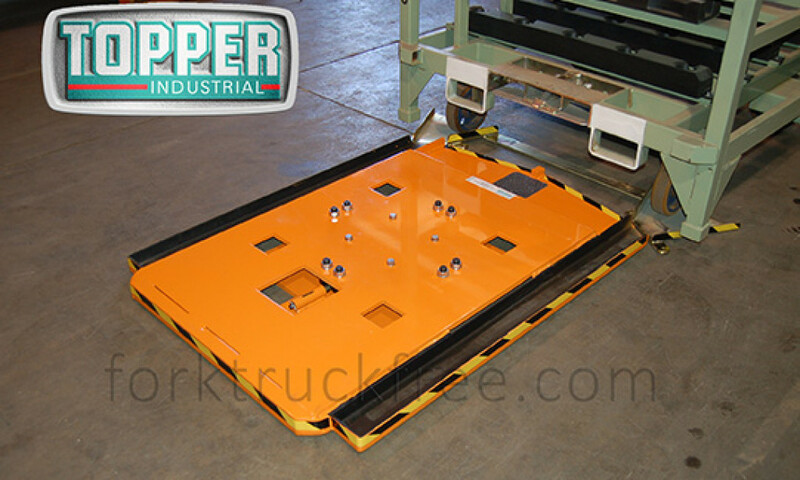 Instead of modifying the cart, use Topper Industrial’s Cart Rotate Platform. The Cart Rotate Platform is a low profile structural frame work built over a rotation bearing that is bolted to the ground. 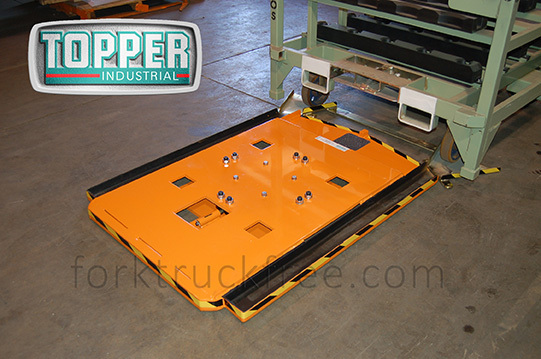 To engage the platform, a typical four wheel industrial cart is manually pushed onto the platform. The platform is equipped with ramps that line up with the cart’s wheels. Once it is pushed on the platform, the operator manually rotates the entire cart until it reaches the soft detent pin position.